beautiful - wish it were bigger to see some detail but it looks crisp and clear nevertheless. Mesa or Phoenix? Thanks! 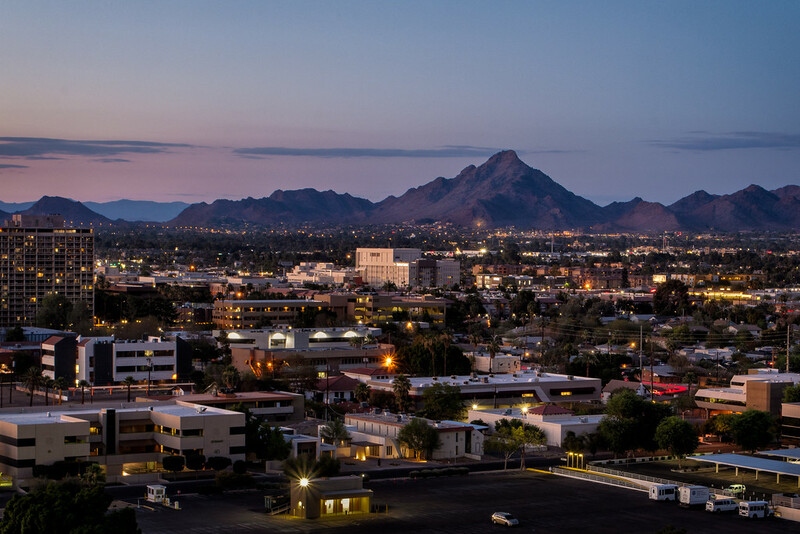 Phoenix, looking northeast from Central Avenue towards Piestewa Peak.